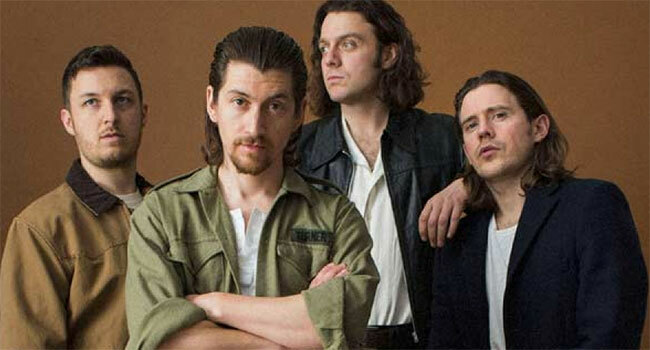 Australian fans can’t get enough of British rock royalty Arctic Monkeys with tickets to their upcoming Melbourne and Sydney shows getting snapped up almost as soon as they went on sale yesterday (Tues, Nov 6th). To meet overwhelming demand, the band has confirmed that second and final shows in both Melbourne and Sydney have been added to the Arctic Monkeys’ upcoming Australian and New Zealand tour. The second Melbourne show will take place on Wednesday, February 27th at Rod Laver Arena and the second Sydney show will take place on Saturday, March 2nd at Qudos Bank Arena. Tickets for all original and new shows are on sale and selling fast. Touring in support of their sixth studio album, Tranquility Base Hotel & Casino (Domino/EMI Music Australia), Arctic Monkeys will visit Perth, Melbourne, Sydney, Brisbane and Auckland throughout February and March 2019. Joining them at all shows will be friends and collaborators Mini Mansions, the LA trio featuring members of Queens of the Stone Age, and The Last Shadow Puppets. Arctic Monkeys recently announced a new two-track digital bundle, featuring a previously unreleased B-side “Anyways,” out November 30th via Domino/EMI Music Australia. The band has also shared Warp Speed Chic, a short film directed by Ben Chappell and originally shown as part of the band’s AM:ZM exhibitions in London and Sheffield alongside the photography of Zackery Michael. The Sheffield band have now released six studio albums. Their debut, Whatever People Say I Am, That’s What I’m Not, was the fastest-selling debut album in UK chart history, winning the Mercury Prize for best album. Tranquility Base Hotel & Casino became their sixth consecutive No. 1 debut in the UK, the country’s fastest-selling vinyl in 25 years, and their fourth record nominated for the Mercury Prize. They’ve won seven Brit Awards and been nominated for three Grammys, have headlined festivals all over the world, and are truly second to none.